Scratch directly through coated surface of paper with wooden stylus. Drawings will appear in multicolor. 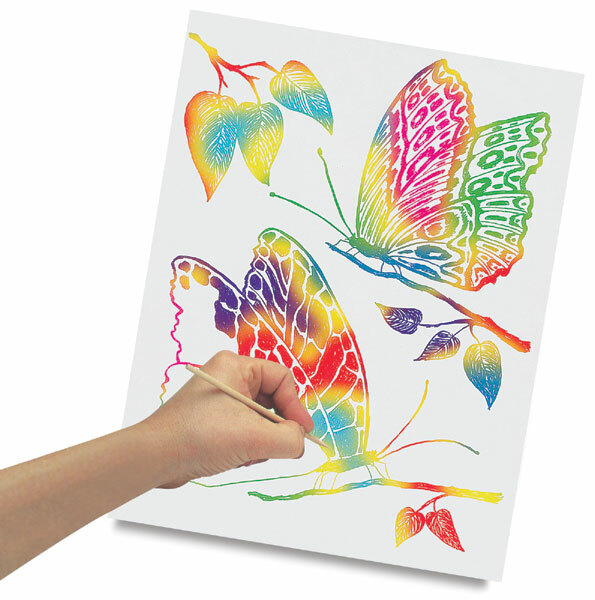 Choose from Rainbow White, Multi-Colored, Fluorescent or Gold-Silver. 6 different colors on each sheet. Each black-coated sheet has a rainbow of six different colors underneath.